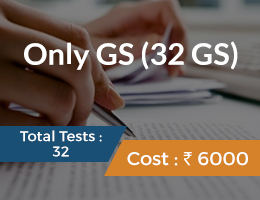 UPSC has brought changes to the Civil Services Mains examination in both the pattern and the syllabus. We know that now there are 4 General Studies Papers apart from one Essay and Optional paper each. This sentence is the guiding light for your preparation. You don’t have to master the topics, all you need is BASIC UNDERSTANDING and the ability to analyze. GS-1 broadly covers – Indian Heritage and Culture, History and Geography of the World and Society. 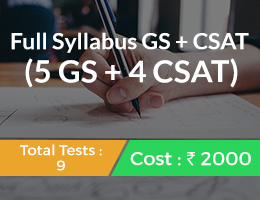 Under this heading total 12 topics and around 40 sub-topics are given in the syllabus. Get familiar with all the topics and sub-topics by writing them many times – they should be strongly etched in your memory. Keep a copy of the syllabus always with you no matter where you are. Now, how to deal with GS-1? 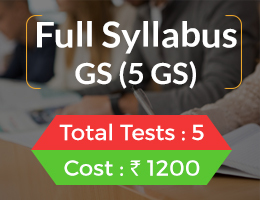 Assuming you are now familiar with the syllabus of GS-1, we will discuss a topic by topic what to read, from where to read and what not to read for these topics. Among NCERT books, one indispensable source to read first and foremost before proceeding to any source is: Class XI NCERT An Introduction to Indian Art. Once done with this book, then read following NCERT books. Here, in the following books, along with reading history of India, look for art and culture related topics and make a note of them. You will not find separate art and culture chapters in these books, you have to mine them. You have to read only a few chapters from each book that are related to Sub-Topics. For ex, you have to read only Chapters 2 and 3 from Class-XII -Themes In Indian History-II book. Note that this topic wants you to cover important events from 1750s to Present. It’s not just related to freedom struggle. You should focus on all important events and contributions of personalities that are significant and have had important impact on nation till now. Because this topic demands specific knowledge of Freedom Struggle and its various facets, you must read Bipan Chandra’s Struggle For India’s Independence. You should revise this book at least 2-3 times. Some prefer Spectrum’s modern history book. But for Mains preparation, Bipan Chandra’s book is very important. If time permits, you can also read selectively from Plassey to Partition. This book is more analytical and has important insights on all important events and personalities related to this topic. Except for Industrial revolution, Mastering Modern World History by Norman Lowe (Buy From Amazon India) ) covers all topics of this part of the syllabus – it is a very good book. You should also read world history from NCERT books of class IX, X and XI (only modern world history part). You can go through this book – Old NCERT World History Class-X – if you are fond of old NCERT books. For India specific women related issues download this beautiful report (PLATFORM FOR ACTION-REPORT ON INDIAN WOMEN -DOWNLOAD FROM HERE) where you can find everything you want to learn about Women’s issues. Other sub-topics are general in nature and can be found in Magazines and Newspapers. If one is thorough with current events questions on these sub-topics can be answered very well by consolidating their knowledge. This topic is mainly current affairs based. Keep tab on all important events that take place related to this topic. You should also read about role of women from ancient to modern times (including freedom struggle, art and culture etc). 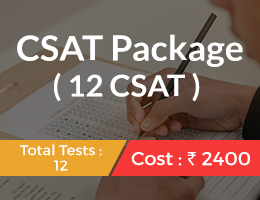 UPSC will test your ability to integrate different concepts and come up with a coherent answer. So, try to interlink different parts of syllabus and prepare notes accordingly. To know more about effect of Globalization on Indian Society, you need to know better about Indian Society. This book is a must have for broad understanding of the Indian Society. This is again generic. But you must know the basic concept of communalism, regionalism and secularism. Wikipedia comes handy here. [Salient features of world’s physical geography. This topic on critical changes in geographical features is broadly related to climate change and other anthropogenic factors(such as depletion of resources, dumping of wastes etc). Geographical features like rainforests, ice caps, rivers, corals, cyclones all get affected by climate change. Anthropogenic factors are involved in increasing desertification, vanishing forests, biodiversity, pollution of rivers and lakes, etc. Until now we saw what books to read. Now the question is how to remember most of the things we read and how to translate them into better answers. A common mistake most of the aspirants commit is reading so many books for a single topic.This mistake costs both your time and ability to remember things clearly and concisely. Stick to a single source and read it again and again. Remember The Same Source. Avoid the temptation of doing ‘Research’ on a topic. 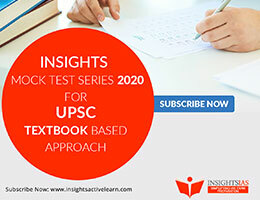 Always Remember – UPSC tests Basic Understanding. Not mastery over a topic. Make short notes on each topic. It is while making notes that readers tend to do RESEARCH and scout various sources. Stick to one book even if you are not 100% satisfied with it. Remember that old saying? – Jack of all trades, master of NONE. If you try to do Research, most probably your name won’t appear in the Final List. I guarantee it. 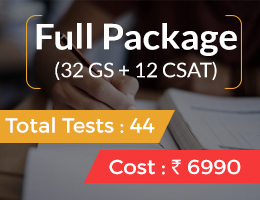 For Paper-II (i.e GS-1) being thorough with Current Events plays a crucial role in enabling you to acquire analytical skills. But what? 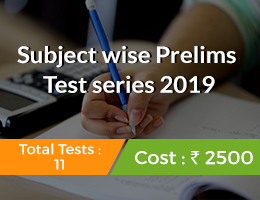 – One must practice answer writing to Previous year questions, or take a Mock Test. Whatever, before you enter examination hall, you must have spent lot of time on answer writing. You do this and you appear for the Personality Test. If you don’t Revise what you read all these months – you slightly miss the Personality Test, or You narrowly miss appearing in the Final List. Well, to sum up. To get the interview call all you need to do is: Read, Re-read the same source, Write and Revise.